The merger of railway budget with the Union budget is a historic step, does away with a colonial practice, and will allow for an integrated plan. The government’s agenda for next year is to transform, energise and clean India. World Bank expects India GDP growth rate at 7.6% in FY18 and 7.8% in FY19. Mini labs by qualified local entrepreneurs to be set up for soil testing in all 648 krishi vigyan kendras in the country. Plan, non-plan classification of expenditure done away with in Union Budget 2017-18 to give a holistic picture. 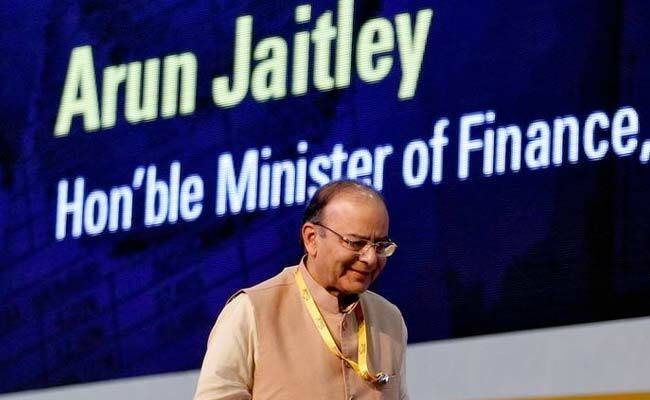 Arun Jaitley says committed to double farm income in five years. Agricultural sector is expected to grow at 4.1% this fiscal. Target of agriculture credit fixed at Rs10 trillion in 2017-18. Rs9,000 crore higher allocation for payment of sugarcane arrears. Allocation under MGNREGA increased to 48,000 crore from Rs38,500 crore in Union Budget 2017. This is highest-ever allocation. Space technology to be used for monitoring MGNREGA implementation. The government took two tectonic policy initiatives in 2016-17: the passage of Goods and Services Tax (GST) Bill and demonetisation. Pace of remonetisation has picked up; demonetisation effects will not spill over to next year. (PTI). one crore houses to be completed by 2017-18 for the homeless. Sanitation coverage in villages has increased from 42% in October 2016 to 60%, a rise of 18%. 35% increase in allocation for Scheduled Castes to Rs52,393 crore. From 8 November to 30 December ((demonetisation period), deposits between Rs2 lakh and Rs80 lakh were made in 1.09 crore bank accounts. 4 lakh people show income above Rs10 lakh in 2016. 1.7 crore people file income tax returns out of 4.2 crore salaried people. To make MSMEs (micro, small and medium enterprises) more viable, income tax for smaller firms to be reduced. Tax rate for companies with an annual turnover up to Rs50 crore to be reduced to 25%. Basic customs duty on LNG to be reduced from 5% to 2.5%. Arun Jaitley limits cash transactions for individuals at Rs3 lakh. 10% surcharge on those individuals who have an income between Rs50 lakh and Rs1 crore. A single one-page form for filing income tax returns for taxable income up to Rs5 lakh. Maximum amount of cash donation to any political party will be Rs2,000 from one individual. This page will be updated as per Budget announcement, keep refreshing.